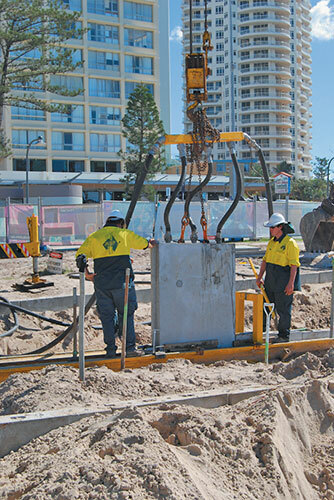 ASP’s involvement in the Surfers Paradise Foreshore Redevelopment ran from 2010 to 2011. 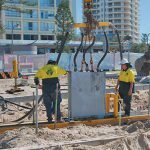 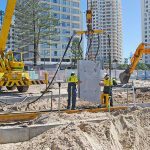 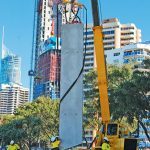 Under contractor Abigroup for the Gold Coast City Council, ASP cast 1184 concrete panels at their Burleigh yard and transported them to Surfers for jetting in using recycled seawater. 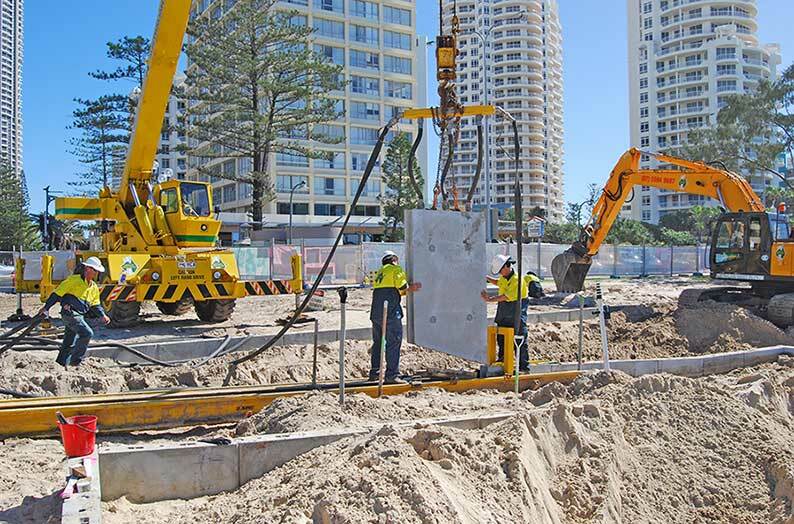 ASP’s revetment walls are the most efficient erosion protection system yet used on the foreshore of Surfers Paradise and have the potential to significantly outlast all previous anti-erosion efforts at the location combined. 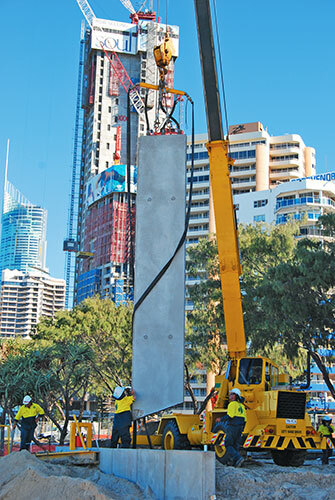 Products and Services: Pre-cast concrete panels, revetment walls.